Preety Sharma, 2012. Multi-hop/direct forwarding for 3D wireless sensor networks. In proceedings of the CUBE International Information Technology Conference (CUBE’12). ACM, New York, USA, 344-349. Uday Pratap Singh An Efficient Distributed Group Key Management Using Hierarchical Approach with ECDH and Symmetric Algorithm, Computer Engineering and Intelligent Systems. ISSN 2222-1719 (Paper) ISSN 2222-2863 (Online), Impact factor 6.39. 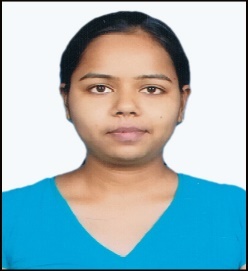 Deena Nath Gupta, Decreasing the message size by applying compression in Elliptic Curve Cryptography in DIT International Journal at DIT, Greater Noida on Dec. 2011. Sonal Singh, Security against Active Attacks in Wireless Mesh Networks. Devika. P, Generating an identity – based proxy signature using elliptic curve cryptography”; Third International Conference of GAMS;MANIT BHOPAL 2013. Sharma Richa, Local Density Differ Spatial Clustering in Data Mining, International Journal of Advanced Research in Computer Science and Software Engineering, Volume 3, Issue 3, March 2013, PP393-397. Vineet Kumar Chaudhary, Dec-2013. Intrusion Detection System Using Mobile Agent Technology. International Journal of Engineering Research & Technology, Volume-2, Issue-12, PP.2278-0181. 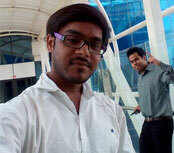 Vineet Kumar Chaudhary Oct-2013. Distributed Instrusion Detection System Using Sensor Based Mobile Agent Technology. International Journal of Innovations in Engineering & Technology, Vol-3, Issue-1, PP.2319-1058. Neha Roy, Cloud Computing: Architecture and concept of Virtualization. International Conference of Emerging Trends in Technology, Science and Upcoming Research in Computer science DAVIM, Faridabad, 25th April-2015, ISBN:978-81-931039-3-7 PP.1800-1807. Neha Roy Virtual Machine scheduling Using DVFS. International Journal of Advanced Research in Computer science and Software Engineering May-2015 Edition. Rajiva Ranjan Divivedi Load balancing in Cloud Computing through Node Sorting Algorithm International Journal of Technological Advancement and Research Computing. Volume-3, Issue-2, 2013. Rajiva Ranjan Divivedi A Survey of Load Balancing Technique in Cloud computing. International Journal of Research in Engineering and Technological Computing. Volume-4, Issue-3, 2015. Seema Nagar, A Novel approach to Load Balancing in Cloud computing Using PSO and ESCEL. International Journal of Advanced Research in Computer Science and Software Engineering. Volume-5, Issue-5 May-2015. Seema Nagar, A Comparative Study on Load Balancing algorithm in Cloud Computing. International Journal of Computer Science Trends and Technology (IJCST). July-2015. Anurag Gupta, Improved AODV Performance in DOS and Black hole Attack Environment. International Conference on Computational Intelligence in Data Mining, Springer, Veer Surendra Sai University of Technology, Burla Odisha. Naveen Kumar Tiwari Security System for DNS Using Cryptography. International Journal of Computer Applications, Volume 120, June 2015. Reena Panwar May 2015 A Comparative study of Load Balancing Algorithms in Cloud Computing International Journal of Computer Application, ISSN: 0975-888, Vol. 117-No.24, pp.33-37. Reena Panwar May 2015 A Comparative Study of Different Load Balancing Algorithms in Cloud Computing. International Journal of Computer Science Trends and Technology. 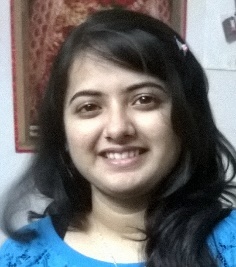 Reena Panwar, Sept 2014, A Comparative Study of various Load Balancing Techniques and Technology in Cloud Computing. International Journal of Engg. Research and Technology, ISSN: 2278-0181, IJERT, pp.374-377. Shikha Malik Effective execution Time for Processing Large Data. International Journal of Engineering Research, July 2015 Edition. Shikha Malik Point in Time Analysis-Gathering Big Data Over a small Duration. International Conference of Technical Research and applications, July 2015. Devendra Bhaskar Performance Evaluation of MAC Protocol for IEEE 802.11, 802.11EXT. WLAN and IEEE 802.15.4 WPAN using NS-2. International Journal of Computer Application ISBN: 973-93-80887-30-9. Devendra Bhaskar Evaluating efficiency of MAC Protocol for IEEE 802.11, 802.11EXT. WLAN. 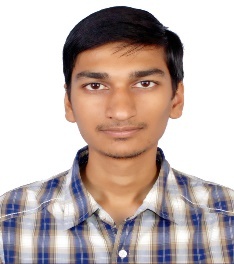 Accepted in International Journal of Computer Science and Technology, May 2015 Edition. Pooja Sharma Three Level Cloud Computing Security Model. International Journal of Computer Applications (0975-8887) Volume 119-No.2, June 2015 Edition. Pooja Sharma Top Threats in Cloud Computing. International Conference of Emerging Trends in technology, Science and Upcoming Research in Computer Science DAVIM, Faridabad, 25th April 2015, ISBN: 978-81-931039-3-7 pp. 1783-1786. Ajay Singh, Query Efficient Database Design for SAAS Delivery Model of Cloud. International Journals of Innovations and Advancement in Computer Science., ISS: 2347-8616, 2347-8527, 2348-117X. Ajay Singh, Survey of Database Design for SAAS Cloud Application. International Journal of Computer Engineering and Technology, ISSN:0976-6367, Volume 6, Issue 6, June 2015, pp.57-63. Ashish Goel A Study of Different Partitioning Clustering Technique. International Journal for Scientific Research & Development, Volume 3, Issue 06,2015, ISSN:2321-0613. Ashish Goel Customer Purchasing Behaviour using Sequential Pattern Mining Technique. International Journal of Computer Applications (0975-8887), Volume 119-No.1, June 2015. Intern as a SOFTWARE ENGINEER at Govt. of Delhi (Ministry of Health & Education Department) in 2018. Open Source Contribution (Paytm Build for India) in 2018. 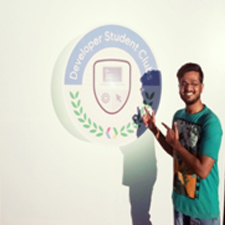 Teacher Assistant at (GOOGLE DEVELOPER DAY 2017) India. Secured 3rd position in Project Display NIT Allahabad in” AVISHKAR “. Won Google India Challenge Scholarship Phase 1 in Android Developer Track. Harshit Gupta published e-book on “Rural Energy Scenario in India”. Publication Name: LAMBERT Academic Publishing. 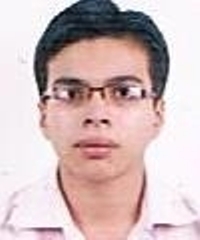 Utkarsh Wadhwa selected for the “International Antarctic Expedition 2016”, Single one from India to get selected for the same. Chitra Kapoor 2012, Implementation on Morphological Text Mining. International Journal of Advanced Research in Computer & Communication Engineering, Volume 1, Issue 8. Indu Maurya Determining the positioning algorithm for fingerprinting using Wlan”, International Conference on Computer Science and Information Technology (CSIT-2012), Bangalore on 19th May 2012. Pooja Yadav Load Balancing in Cloud Computing Through Node Sorting Algorithm. National Conference on Broad Band Communication & Technologies, MANIT Bhopal, Aug. 2013. Riidhei Malhotra Self adaptive gestures classifiers using fuzzy classifiers with entropy based rule pruning, Proceeding of the International Symposium on Intelligent Informatics (ISI’12) Springer 2012, Chennai, August 4-5, 2012. Amit Kumar A Study on Minimization of 2G/3G Handover Failure. International Journal of Advance Research in Computer Science and Software Engineering, Volume 2, Issue 4, April 2012. Jamal Bushra Implementation of Watermarking in Image Processing using Discrete Wavelet Transform, proceedings of International Conference on Recent Trends of Computer Technology in Academia, JRNRVU, Udaipur (India), April 21-23, 2012. 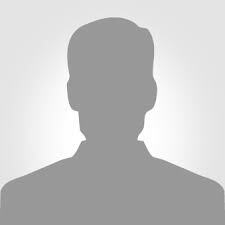 Gaurav Anonymous Authenticity to work with Data over the Cloud. IJATES, Volume 03, Issue No.06, June 2015. 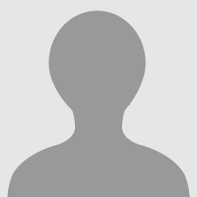 Gaurav User Anonymity and Authenticity for Decentralized Access Control over Clouds: A Review. IJSTM, Volume 04, Issue No.06, June 2015. Md.Shahajad Feature extraction in medical images based on curvelet transforms. International Journal of Advanced Research in Computer Science and Software Engineering.ISSN:2277-128X Volume-5, Issue-4 2015. 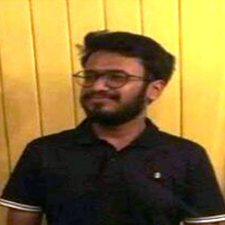 Saumya Pathak secured First Rank among all branches in University merit list by securing 87.60% aggregate. 6 student of EIE are among the top 20 students of University merit list. Following students of ICE deptt qualified CAT exam 2015 with good percentile. Jay Pratap (student B.Tech-4th yr ICE) designed “Magnetic Engine (PARA)” which is approved by National Academy of Sciences India (NASI) Bangalore in Dec 2014 and filed patent in Royal society of sciences London. Jay Pratap (student B.Tech-4th yr ICE) designed a “User Friendly Harvesting System ( MONTA )” which is approved by “Ministry of Agriculture, U.P Govt” on Feb 2015. Jay Pratap (student B.Tech-4th yr ICE) designed “Walking Tractor Operator Workplace for comfortable and efficient tractor operation in small area or land” which is approved by CSIR in Jan 2015. 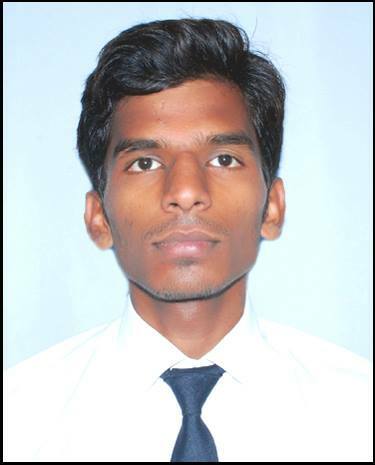 Jay Pratap (student B.Tech-4th yr ICE) has been nominated by CSIR to present his Agro Machinery in “World Agriculture Machinery Exhibition 2015 - Agro Farm” to be held in Ghana on July 2015. 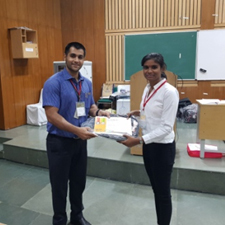 Rishikeya Mishra (student B.Tech-4th yr ICE) got selected among 40 students across the India for a week long course on “Control System Design” in “Indian Institute of Space Science and Technology, ISRO. Rishikeya Mishra (student B.Tech-4th yr ICE) and his team (students of ME branch) secured 19th position globally in “NASA HUMAN EXPLORATION ROVER CHALLENGE-2014”.